How does we source our organic website traffic and get highest organic results in 2019. Getting organic traffic to your website is a difficult task. If you do not have people arriving on your website or blog than you loses time and money and get frustrated with your results. Achieving goals is a difficult task but you have to build a plan and budget well in advance to achieve those goals. Its still not to late if you are a new blogger, new business owner or even a experienced website runner and you have come across difficulties to get some website traffic, than it good to learn new things below and implement to get some success over time. Before you receive some traffic you have to make sure your website or blog is all set to be live, the product or a page is user friendly. Give some professional and attractive look which should glance at first instance and push your reader or shopper to explore more, it will automatically result in lower bounce rate and help increase your conversions. If you are new to this field you can join few best eCommerce platform or blogging site to create your first project. Shopify, G Suite by google, Wordpress, Squarespace, Wix, Website.com, Godaddy, Weebly, jimdo, Medium, Joomla, tumblr, Blogger, Ghost, most of these platform provides you with a free trial subscription for number of days so you can ready your project in few hours and ready to go live without spending a dime. This means these platforms gives you and opportunity to make money from the first day of your trial period. Now that your project is ready next step is Search engine optimization. Both ON page SEO and OFF page SEO is important to drive maximum traffic to your website or blog or an online store. and is generally a back bone of any website or blog. What is One page SEO: An On page SEO is critical and you can do it yourselves while adding a product to your online store or even when creating a page. Almost most of the online website builders provides you with an empty field to add the heading and a short description. Do it yourselves write compelling headlines and a specific description which helps Google to rank you in top results. Our Google analytics results which proves that at this stage we have more than 60% organic traffic from google. What is OFF page SEO : An OFF page SEO is when you hire someone to do SEO on your behalf. There are many SEO service provides which you can join and get even more results or traffic on your blogs or website. We personally recommend Godaddy SEO, Crazydomains SEO and Skyhigh Agency SEO for the best result achievable in less time and ranking higher in Google search engine. Achieving results takes time and its not impossible. It can take up to 3 to 6 months to get your ranking on the first page of Google or other search engines. You need to have some patience to get results and trust your SEO partners. Yes it will take money and time for the first few stages for few months but then it will generate you higher return in the long run. On page SEO and OFF page SEO stays in the top priority on the web list to generate you more organic traffic and repeat customer to your business/blog/online store/website. Some tips by which you can decrease this time frame by half is helping your project rank higher in search engine by providing user friendly good content to your visitors, update your blog or website daily, connect with your customers through comment sections on your pages. Write pursuative headings and descriptions of your articles and products. It will help everyone in loop who are trying to get you results or more traffic. Get connected on social media. As we all know there are bigger giants in the industry who have fully captured the worldwide markets. Platform like Facebook, Twitter, Pinterest, Tumblr, Linkdin. Most of these platform lets you create a free account and helps connect with your family and friends. This is a good source of generating free traffic to your website or blog. We after trying number of social media platforms we recommend Facebook, Twitter, Pinterest, Tumblr, Instagram and Linkedin. All these platforms has different features which helps you connect with people around the world and also helps spreading a word out for you. You can join all in one go or join individually. We get about 1.5% free traffic from social media and we are getting more in to it to increase this number higher. These numbers shows us and helps us determine were we can make improvements in our systems and algorithms to achieve greater results in future. Our third major source of generating website traffic and getting around our targeted audience is Advertising. Advertising is a backbone of any business and you have to have a set budget annually. We mainly prefer Facebook and Google being the largest and most experienced in the fields of advertising. It helps us get targeted results and more organic traffic generation to our website and blogs. You can spend a minimal budget and can get more results through these Ad bases from Facebook. It helps you plan strategies based on your ideas and your demand which generate you sales and traffic audience to your website and blogs. As we all know Google in itself a big brand in terms of biggest market share in search results. So this means if you need to find anything you will go on Google.com and find for a specific search result. Being said that Google offers you everything you can think off things like search box, marketplace, advertising platform, Google translate and more others which by you can not only optimize your website or blog but also generate traffic and revenue. We use Google advertisement to show case our branding and to target our products and deals to our customers. It helps us generate revenue and lower bounce rate comparisons. Join affiliate program to attract more visitors to your website or blog. There are number of websites which gives you an option to add their banners and links to generate more income and sales. These affiliate programs acts like backlinks to your website or blog. You give them lead and they will link you back and will also give you an opportunity to earn some cash on the go. 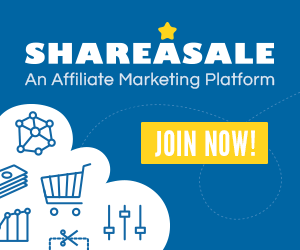 Some of the affiliate program that we recommend to join and are the best in 2019 are listed below and also help your website give a new look. Re-targeting, additionally called re-marketing, could be a type of on-line advertising that may facilitate your keep your whole ahead of bounced traffic once they leave your web site. for many websites, solely two percent net traffic converts on the primary visit. There are number of re-targeting platforms that can help you get your customer back who has already visited and left your website or blog page. This not only retains customers but also help in generating extra revenue in abandoned cart. We prefer to use Google being major search engine and algorithms already in place to give good place. All the above factors mentioned above has not only increased or web ranking but has also driven large amount of organic traffic to our website. This can be seen below.